A rare sight now greets visitors at Sugarloaf Ridge State Park, near Santa Rosa: a flower that hasn't bloomed there for 50 years. Recently I joined a friend and naturalist at Sugarloaf on a hike to seek out the flower, known as whispering bells. "They've got these kind of creamy white small flowers, little bunches of them," said Tony Passantino, pointing to a mountainside that burned during the devastating North Bay fires last fall. 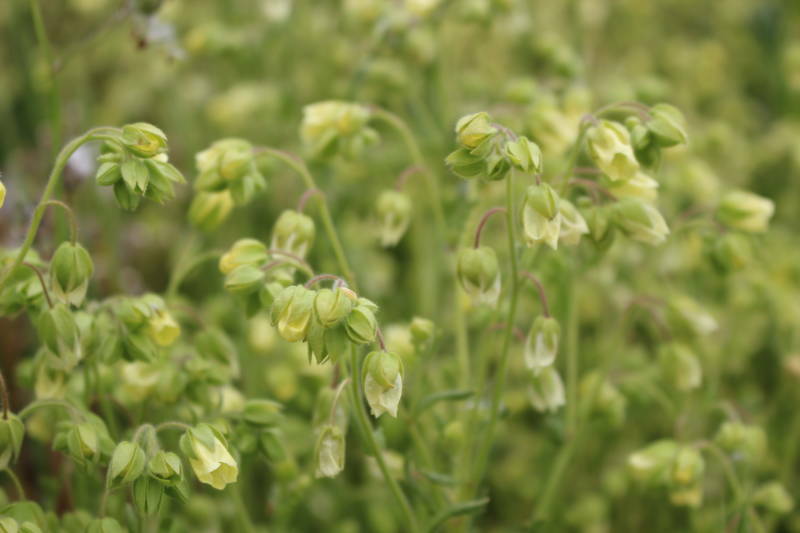 "This is all wall-to-wall whispering bell, and they're just starting to flower. This is what everyone's been waiting for." The flower has not been seen at this location, he said, since the last time Sugarloaf burned, in 1964. "The reason they get this name," Passantino said, "is because later in the season they dry out a little bit. They have [these] kind of papery thin petals, and when the wind blows through, it gets its name, of kind of a whispering sound through the wind." We shake the flowers. The rustling is soft, but the flowers are too fresh to make a sound like chimes. We snap a few pictures. Tony promises me he will enter one in the "City Nature Challenge," a contest in which dozens of cities will compete "to make the most observations of nature, find the most species, and engage the most people. The competition starts tomorrow and ends Monday. To that end, the California Academy of Sciences is asking people to get outside this weekend. They're hoping citizen scientists will share pictures of the wildlife they see as part of a global competition. Alison Young of the California Academy of Sciences is helping to coordinate the challenge. "We are creating an open database of biodiversity species occurrence records that are available for scientists and managers to use to make our cities better places for humans and other species." CalAcademy has helped build an app called iNaturalist, which uses image recognition technology to help identify plants and animals in photos. Images can be shared with a large community of scientists and resource managers who are interested in knowing when and where flora and fauna can be found. Young says wildlands that burned in the Sonoma and Napa fires may be especially interesting as they are now hosting some species of plants that have never been seen in the area. "There are going to be things blooming there that haven't bloomed since the last fires went through." Even though fire is a natural part of Northern California's ecosystem, it's historically unusual. Natural records suggest fire occurred once every 50 to 100 years in the Bay Area (though local Native Americans burned areas more frequently to make them more productive). 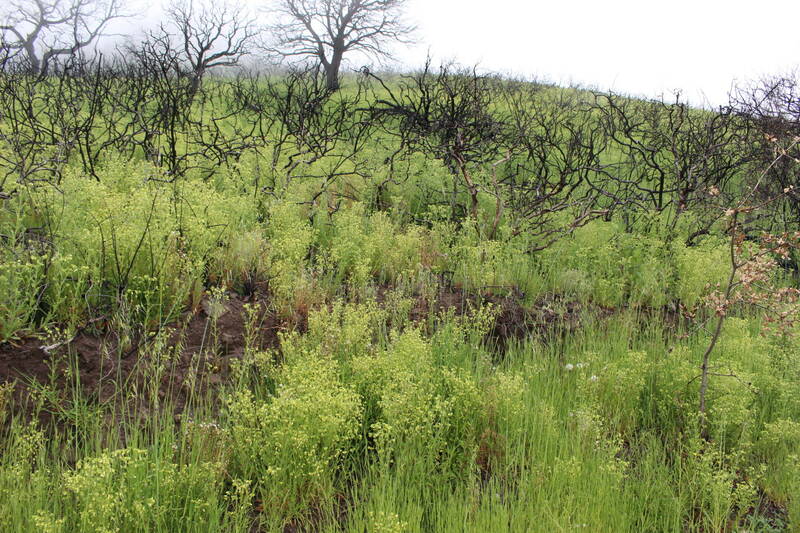 Plants that follow fires can be incredibly rare — only seen once every few decades in particular areas. These plants require the heat, smoke, influx of nutrients or clearing of vegetation after a fire to germinate and spring forth. "The disturbance created by fire on land is critical to conserving much of our rare flora, and yet our protected habitats are not longer subject to the landscape-scale disturbance that might clear the way for those early succession species to thrive." 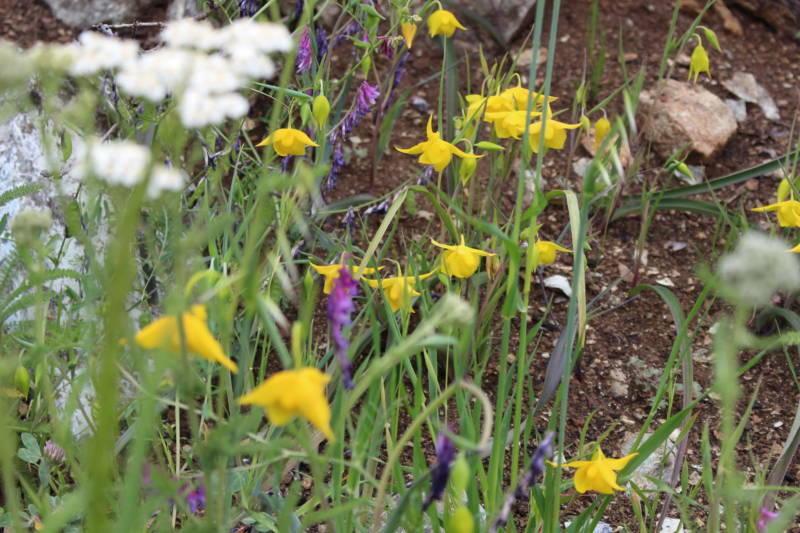 For rare plant seekers, get out and see the flowers while you can.